Faithfull FAIGW12513F Bench Grinding Wheel Features Diameter 125mm x 13mm thick. Gr..
Faithfull FAIGW15016M Bench Grinding Wheel Features Diameter 150mm x 16mm thick. 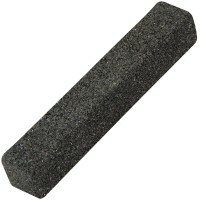 Gr..
Faithfull FAIGW20025C Bench Grinding Wheel Features Diameter 200mm x 25mm thick. Gr..
Faithfull FAIGW20020F Bench Grinding Wheel Features Diameter 200mm x 20mm thick. Gr..
Faithfull FAIGW20020M Bench Grinding Wheel Features Diameter 200mm x 20mm thick. 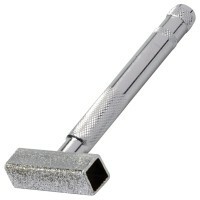 Gr..
Faithfull FAIGW15016C Bench Grinding Wheel Features Diameter 150mm x 16mm thick. Gr..
Faithfull FAIGW15020M Bench Grinding Wheel Features Diameter 150mm x 20mm thick. 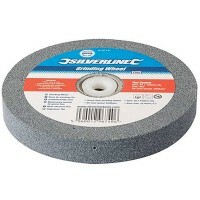 Gr..
Faithfull FAIGW20025M Bench Grinding Wheel Features Diameter 200mm x 25mm thick. Gr..
Faithfull FAIGW15016F Bench Grinding Wheel Features Diameter 150mm x 16mm thick. 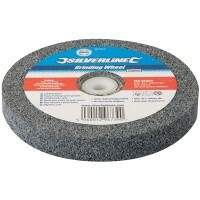 Gr..
Faithfull FAIGW15020C Bench Grinding Wheel Features Diameter 150mm x 20mm thick. Gr..
Faithfull FAIGW20025F Bench Grinding Wheel Features Diameter 200mm x 25mm thick. Gr..